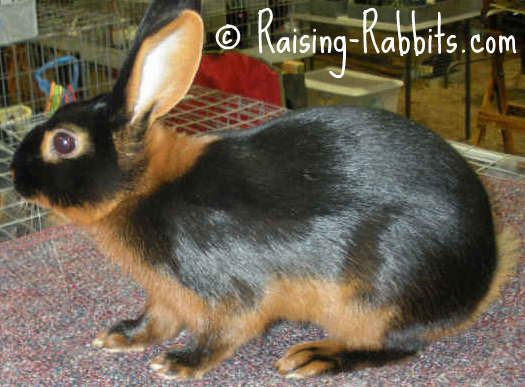 Tan Rabbit: Details about the rabbit called the aristocrat of the fancy – standards, photos and description; is the Tan the right rabbit for you? A black rabbit with a yellow belly first appeared in the UK in the county of Derbyshire in 1887. These were the offspring sports of wild European rabbits living in a local warren, mixed with common “hutch rabbits” and Dutch rabbits which were released into the warren. 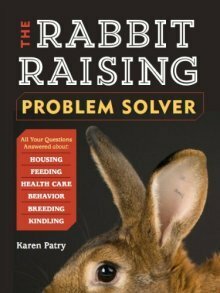 Because of the novelty of these uniquely marked rabbits with their jet black glossy coats, many rabbit breeders sat up and took notice. 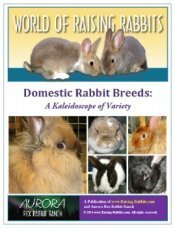 They were soon accorded the status of a new breed called the “Black and Tan.” Their first showing in local English rabbit shows was 1888. Selective breeding was implemented to address type and timidity. The Belgian Hare was utilized to add fiery pizzazz to the tan coloration. As a result, the rabbit’s body type shifted toward that of the Belgian hare. The genetics of Gray and Brown Silvers was also used. By the turn of 1900, breeders had improved the breed's personality (which is still a lively one!) and fixed the type of the breed as it is known around the world today. Tans were bred in France by 1894, and reached the shores of the USA before 1908. They were one of the very first breeds to be recognized by the forerunner of the ARBA, the National Pet Stock Association. A Tan (Black) won Best in Show in 2003, at the 80th ARBA Convention in Wichita, Kansas. 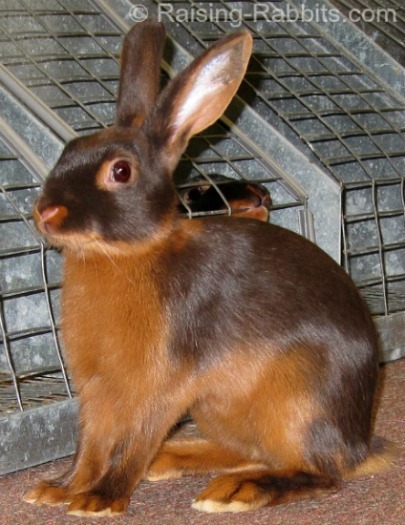 Chocolate tans cropped up in 1920, either by injecting the genetics of the Havana Chocolate rabbit, or, as the English breeder, Mr. Childs, asserts, as the result of a natural mutation occurring within the breeding stock. Breeders in Belgium also produced Chocolate Tans at this time. With the presence of the chocolate gene, it was only a matter of time before Lilac Tans were created, around 1927. Tan (black), with very glossy fur. The Tan is a medium to small arched breed. Adult bucks weigh up to 5.5 pounds; adult does up to 6 pounds. They are the original "tan pattern" rabbit. The fiery red belly fur and markings are specific to Tans and are present in all varieties. See the ARBA Tan Standard of Perfection for exact details.